Contact Treasury Services for wiring instructions. Departments needing cash exchanged for University purposes which may include change orders or exchange of denominations may exchange with University Accounts Receivable. Cash safeguarding practices outlined in the General Cash Safeguarding Guide (http://auditservices.nmsu.edu/files/2013/10/gen_cash_safe_manual-2-feb-2012.pdf) should be followed. Departments may deposit credit card authorizations directly into a FOAPAL by presenting a completed Credit Card Deposit Slip to University Accounts Receivable. A receipt will be issued at the time of deposit. Restricted fund deposits or sponsored projects deposits must be deposited with Sponsored Projects Accounting. Gift fund deposits must be deposited with University Advancement. Departments may deposit cash or checks directly into a FOAPAL by presenting a completed Deposit Slip to University Accounts Receivable. A receipt will be issued at the time of deposit. Returned checks and credit card charges will be charged back to the departmental FOAPAL for which the originating deposit was recorded. A copy of the charge-back notification will be provided to the department. It is the responsibility of the department to attempt recovery of the charged-back item. Present completed Cash Withdrawal form to University Accounts Receivable. University Accounts Receivable may provide departmental accounts receivable billing services for non-student, miscellaneous unrestricted sales and services for NMSU departments who offer credit terms for goods and services provided to external parties through the current unrestricted FOAPAL. Please note: First time users of Departmental Accounts Receivable services need to contact University Accounts Receivable for a unique invoice sequencing assignment. For departmental billing to occur, the requesting department must complete a Department External Invoice and issue original copy directly to the vendor and provide a duplicate copy to University Accounts Receivable. Once the copy-invoice has been received by University Accounts Receivable, a receivable will be established by University Accounts Receivable. The amount of a single invoice should not exceed $5,000 unless it has prior approval from the Bursar. In general, charges should amount to at least $10. Charges for less than $10 should be paid at the time of service. The outstanding accounts receivable will be credited upon receipt of payment. If a department receives a payment directly from the vendor, the department must notify University Accounts Receivable. Reversing entries will be conducted to reverse the receivable that was established for the invoice. If a payment is returned from the bank, the accounts receivable will be reestablished by University Accounts Receivable and the collection process will resume. University Accounts Receivable will provide a monthly statement, listing any outstanding invoice due. Each billing department will receive a monthly aging report. If after 180 days payment is not collected, the receivable will be reversed and charged back to the originating departmental FOAPAL. Issued to departmental administrators to authorize reimbursement of University employees for incidental departmental expenditures, up to $50, that are paid by employees, without having to go through the normal procedures involving requisitions, purchase orders, and vouchers. Issued to departments to provide change for daily operations where fees or other payments are collected on an ongoing, regular basis. These change funds exist with the department to expedite the handling of NMSU business and have no return date. Issued to departments to provide change for a temporary occasion or event where making change is necessary. Departments wishing to collect and/or handle cash, checks, credit cards or EFT bank transfers on a temporary or permanent basis for the purpose of sales and/or services must obtain approval from the Bursar. Take the approved Cash fund form to the University Accounts Receivable to pick-up cash, if applicable. Submit a completed Petty Cash Voucher to University Accounts Receivable within 90 days from date of purchase. Duplicated receipts (copies) will be accepted if accompanied by a memo of explanation from the Department Head. Altered receipts will not be accepted. The individual presenting the Petty Cash Voucher for replenishment to cashier must present photo ID and sign for all cash received. A receipt will be issued for all replenishments processed. Prepare a Deposit Slip using the original source FOAPAL to be reimbursed. Return to University Accounts Receivable. If any of the above requirements cannot be met, the Department Head should submit a memo to the Bursar authorizing a change in responsible person. In this same memo, the new responsible person must sign a verification of funds received from prior responsible person. A significant cash shortage or pattern of unexplained shortages that indicate possible misappropriation of public funds must be reported to Audit Services at the time of discovery. NOTE: This requirement does not include incidental cash variations, which reasonably could be expected to result from normal cash transaction activity of a prudent cashier/cash custodian. University Accounts Receivable maintains records of all student financial transactions and amounts due to NMSU from students. University Accounts Receivable is responsible for billing/invoicing for student charges. 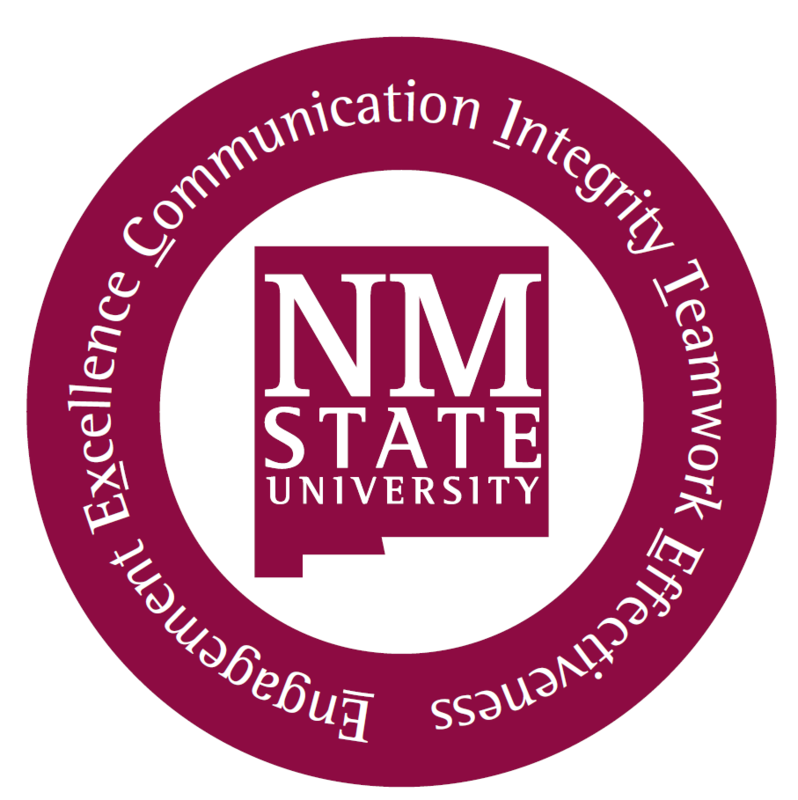 Electronic billing is the method of delivery where students having charges due will be notified of charges due on the 5th day of each month through an e-mail notification that is sent to their @nmsu.edu e-mail account. Students may opt to receive a paper statement mailed via USPS by contacting University Accounts Receivable. Accounts not paid in full by the due date indicated on the billing/invoice are subject to Payment Plan Fees as set forth in the Student Registration Guide (http://registration.nmsu.edu/). Departments wishing to charge a student account for a good or service may do so by submitting a request in the form of a memorandum University Accounts Receivable. An accounts receivable will be created by University Accounts Receivable. Requests must be approved by University Accounts Receivable before charges will be assessed. Charges over 60 days old and less than $5.00 will not be accepted. Payments made on an account that are dishonored or returned due to non-sufficient funds, stop payment, or disputed, will be charged back to the account, and a return item fee will be assessed to the account. University Accounts Receivable reserves the right to place holds on student records preventing future registration and the release of degrees and official transcripts until the returned item has been paid. For habitual cases identified, University Accounts Receivable may refuse acceptance of certain forms of payment. Checks are available for pickup within each office for 10 days. Checks not picked up within 10 days of issuance are mailed to the student’s primary address on record. Inactive accounts are charged back to the originating charging departmental FOAPAL. Collection activities, which have been initiated on an account, continue until all efforts have been exhausted. Funds collected on accounts placed in inactive status are not returned to departmental indexes.